Radiohead Authorizes Unauthorized Remix of "In Rainbows" — Jordan Greenberger, Esq. Radiohead Authorizes Unauthorized Remix of "In Rainbows"
After a cease & desist put the breaks on Amplive's Radiohead In Rainbows remix project, the online music community reasonably wondered if the tracks would ever see the light of day. Well, here they are. 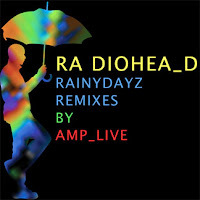 While the Oakland producer/DJ acknowledges that he probably should have contacted Radiohead (who were not involved in the project) to seek approval prior to making his interpretations publicly available, an agreement has been reached between all involved parties and Amplive has been granted permission to release Rainydayz Remixes for free to the general public. Effective immediately, the eight-track record is available here. So, to clarify. Radiohead releases an album, initially online in a pay-your-own-price scheme and subsequently in physical (traditionally priced) formats, all without label support. A remix of the album is created without authorization from Radiohead. A cease & desist letter is issued. The cease & desist letter is abandoned. The remix is distributed WITH authorization, for free, online. Why did Radiohead change their mind and grant authorization? If the remix is distributed on-line for free, is there a licensing fee and if yes, on what is it based?